SAN NARCISO, Calif. (Bennington Vale Evening Transcript) -- Donald Trump’s detractors were given a precious gift this past Monday in the shape of a debate performance riddled with false statements, incorrect facts, petty attempts at character assassination, ad hominem attacks, misogyny, fat shaming, racial insensitivity and the temperamental antics of a generally unhinged human being. In fact, most critics argued that Trump only got one thing right: there are 28 members in NATO. However, that count has now doubled. Since the debate, Trump has insisted that audio problems in the room hindered his appearance. The Republican presidential candidate placed the lion’s share of the blame on his microphone. This Friday, the Commission on Presidential Debates (CPD) confirmed the claim. Following the sometimes Shakespearean tragicomedy that was his poor showing, Trump told reporters that he was given a defective microphone. Of course, he also floated the implication of intentional sabotage. Fact checkers doubted Trump’s assertion that he specifically complimented the equipment. In a statement released September 30, the CPD cryptically admitted that something may have interfered with Mr Trump’s audio. Regarding the first debate, there were issues regarding Donald Trump's audio that affected the sound level in the debate hall. The CPD has not responded with additional clarification, but sources at Hofstra University’s AV department think they know what happened. October 4 marks Google’s big launch party for a slew of new products that Hiroshi Lockheimer, the company’s SVP of Android, Chrome OS, and Google Play, promotes as historic. Two products in particular found their way into the hands of Hofstra’s internal engineering staff. One device is Google Home, a rival to Amazon’s Echo. The digital assistant “will be able to play music, control smart home devices, and send and receive media over Google Cast,” according to Google representatives. Like Echo, it responds to voice commands and can talk back. Another offering is Andromeda, a powerful new operating system that combines Chrome OS and Android. Google envisions this platform to shape the future of its technology ecosystem. Both Google Home and Andromeda are driven by advanced artificial intelligence. On condition of anonymity, one Hofstra staffer confessed that these yet-to-be-released products were left connected to the equipment controlling Trump’s microphone. The Hofstra technician went on to explain that the Google systems likely picked up on the negative statements being made about Trump in the media. “Basically, whenever Mr. Trump leaned into his microphone to talk, the Google tech took over,” he added. We may never know what Donald Trump’s actual points and counterpoints were. 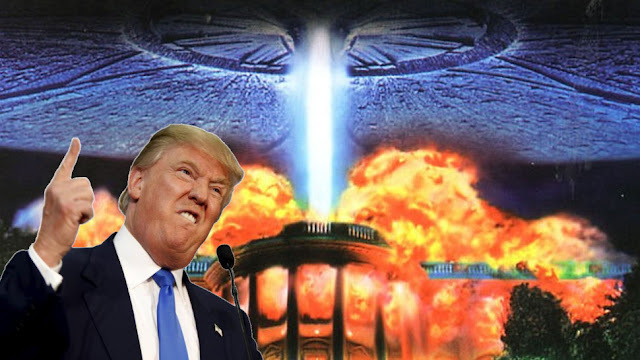 What we have learned is that Google’s latest advances responded on his behalf, replicating the slanderous, hateful, bigoted and borderline criminal vitriol Trump is usually credited with spewing. 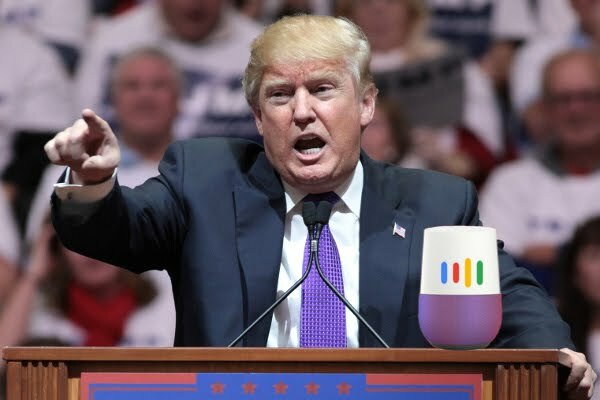 Google could not be reached for comment, however a former programmer praised the system’s eerie ability to precisely mimic Trump’s voice, erratic speech patterns, confrontational tone and otherwise bizarre demeanor.